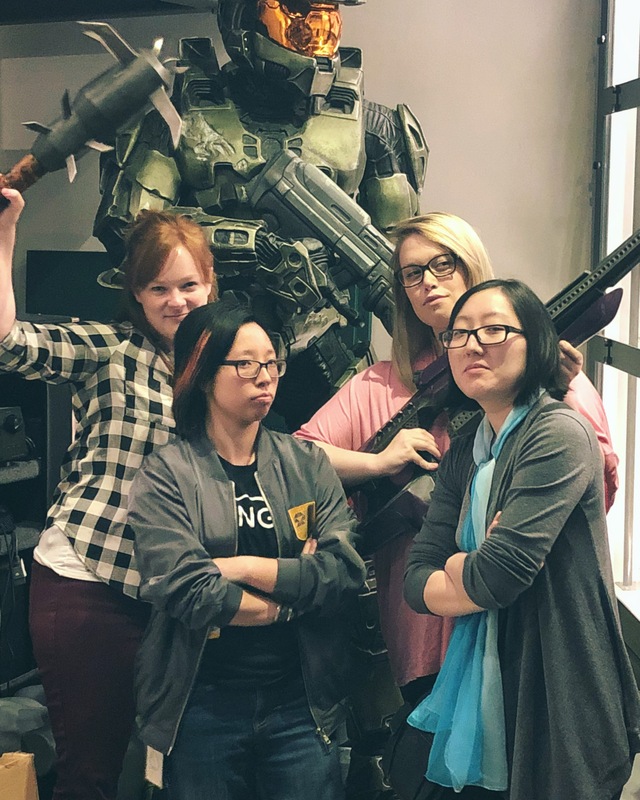 A couple weeks back, I had the opportunity to go to Bungie’s Gender Diversity in Games Mixer at the studio. Mixers can be rough. Anyone that frequents them can vouch for that. Especially if you go alone, like I did, they force you out of your comfort zone and can be fairly nerve wracking regardless of what stage you’re at professionally. But this group was a little different—the atmosphere was welcoming, and it felt like a group of friends gathering to chat. The gaming industry is pretty tight as is, but the circle of women is even smaller. 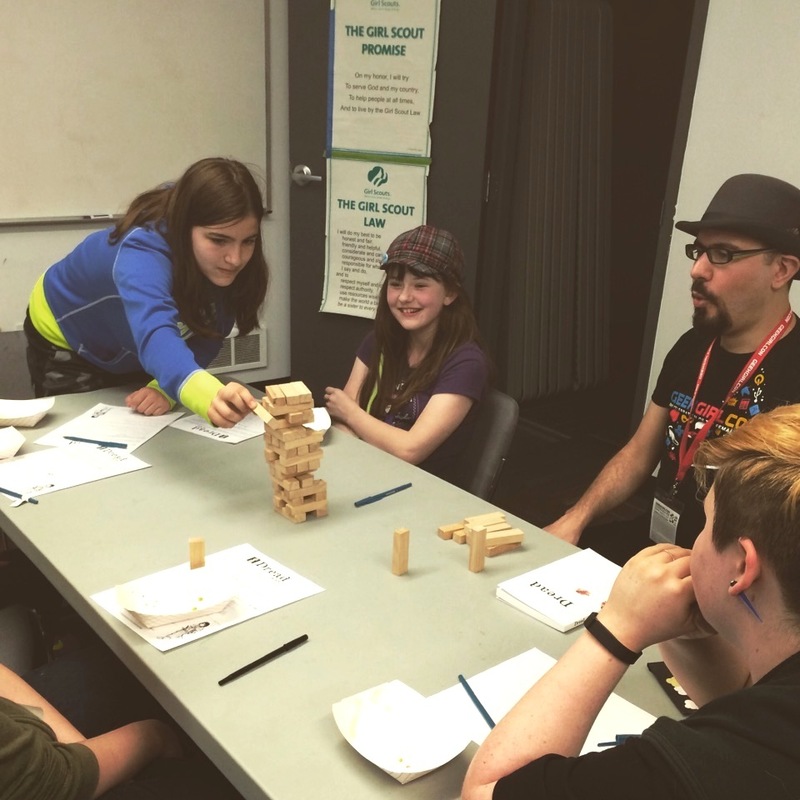 It wasn’t difficult to start conversations, and perhaps that was because we gathered together as we face similar challenges every day, but more importantly, we gathered to bond over our love of games. We talked about what we did, who we worked for, and those of us who didn’t work for Bungie oogled a little at the memorabilia that lined the walls. We’re excited to announce the return of the GeekGirlConnections room to our annual Convention! It exists to create a space for excellent community leaders, producers, and organizations to share their experience and work with our amazing community members. The focus this year is on organizations that have made particularly impressive strides in diversity. GeekGirlConnections will be located on the first floor, right next to the pick-up area for tickets, so come by and get your con started right! 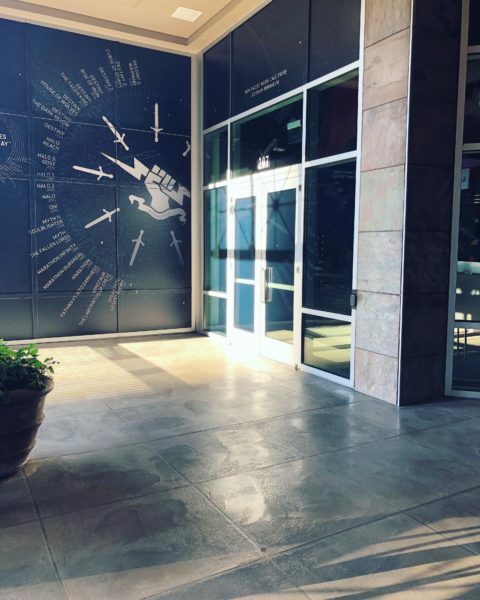 Here’s a sampling of what to expect when you visit the Connections room! Written by GeekGirlConnections Manager Susie Rantz. Did you know: In communities with a higher percentage of women working in science, technology, engineering and math (STEM), high school girls are as likely as boys to take physics (and sometimes more likely)? Yet, women comprised just 28 percent of science and engineering workers in 2010. Did you know: Up to 80 percent of jobs are landed through networking? Connecting with mentors can be a great boost for your career. Did you know: As early as second grade, kids begin to associate math words with boys? As a “mathlete” in high school, this breaks my heart. Did you know: Since our first convention in 2011, GeekGirlCon has been committed to drawing attention to these disparities? Last year, we introduced the GeekGirlConnections Program as a way to help elevate STEM career opportunities for women. The program was such a hit, we are continuing it for GeekGirlCon ‘14. GeekGirlConnections is dedicated to providing career mentorship and networking opportunities for women and girls. The program aims to help connect women with professionals in their desired career fields, as well as encourage women and girls to pursue their passions, develop leadership skills, and enter careers where women are currently underrepresented. GeekGirlCon ’14 Schedule is Here! All images from GeekGirlCon Flickr. 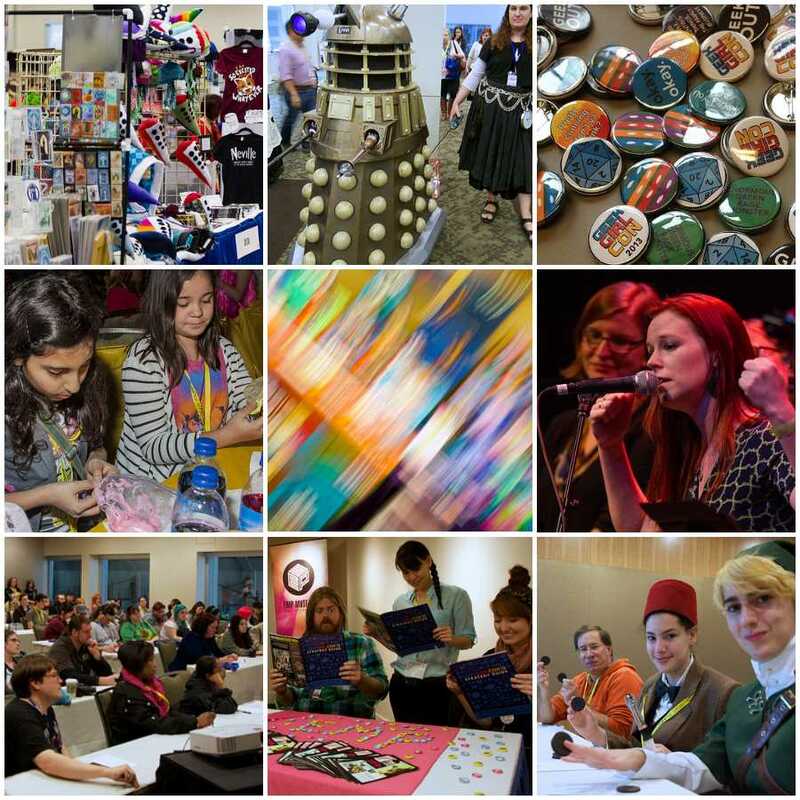 Over the past few weeks, we’ve given you teasers of the fun we have planned for GeekGirlCon ‘14. You’ve heard about exhibitors and artists, about panels on diversity, cosplay, writing, and comics, and about our fabulous GeekGirlCONcert. Finally the full line-up is here! Take a look around our brand new website for the full schedule and details on: panels and workshops; free-play gaming; gaming tournaments; networking and career advice with GeekGirlConnections; and much more! Written by GeekGirlCon Copywriter Winter Downs. Last year, GeekGirlCon added a new department called Connections focused on leadership development, mentorship, and connecting women with professionals in their desired career fields. The Connections program was such a hit (read more from last year here and here), we’re bringing it back for GeekGirlCon ‘14. 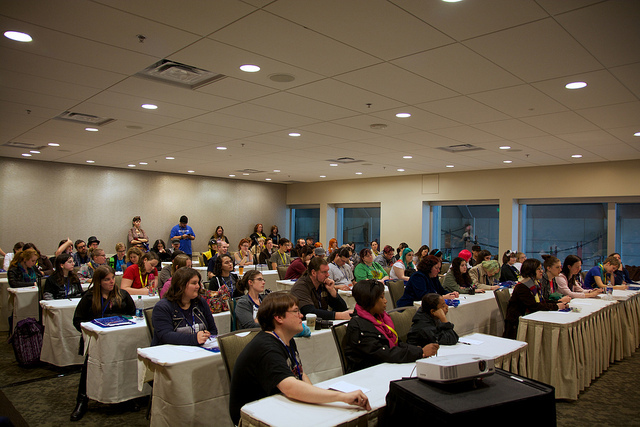 In addition to featuring a Connections Room at the convention—where attendees can interact with companies, universities, and nonprofit organizations—we plan to dedicate a programming room for Connections-specific panels, networking sessions, and workshops. This Connections Programming Room will allow for more intimate conversations with attendees and panelists. And we need your help to make this happen! Career-focused sessions: how to pitch, negotiate, interview; where to train; how to find a mentor; etc. Panels straight from the source: featuring women working in specific career fields, including women in science, math, engineering, and technology (STEM); women entrepreneurs; women writers and publishers; career crafters and artists; etc. Feel free to propose something we didn’t think of! To be considered for acceptance, proposal submissions must reflect the mission of the convention: to promote, celebrate, educate, mentor, encourage, and empower the female professional. GeekGirlCon is committed to representing women of all ages, races, sexual orientations, gender identities, creeds, physical and mental abilities, and familial statuses. Proposals must reflect a commitment to this as well. Please note: this call for Connections programming is specifically focused on career and leadership development panels. Our broader programming submission deadline has passed. Submissions are open until 11:59pm PT on July 25. If you are interested in proposing a panel or presentation please fill out this form. Finding a job can be an intimidating, challenging, and frustrating process. There are a million job boards to sift through and resumes and cover letters to customize. How do you stand out in a sea of other job applicants? The best way to find these opportunities is by connecting with people around you. Your network of friends, relatives, and new acquaintances can be one of the most valuable job search resources. Networking can sound intimidating, but it can also be rewarding and fun—even if, like me, you shudder at the thought of approaching people you don’t know. The very idea of attending one more networking event gets my stomach churning, my palms sweating, and my throat tightening. So how can you ensure networking advances your job ambitions and is more fun than a chore? Type “job networking tips” into your favorite search engine and you’ll find a ton of great ideas. I don’t want to duplicate this heap of expert advice. Instead, I invite you to join me in thinking outside the box about job networking. Here are five tips for making the experience fun—and productive! There are a lot of career-focused networking events, and those intimidate me the most. Talk about high stakes! 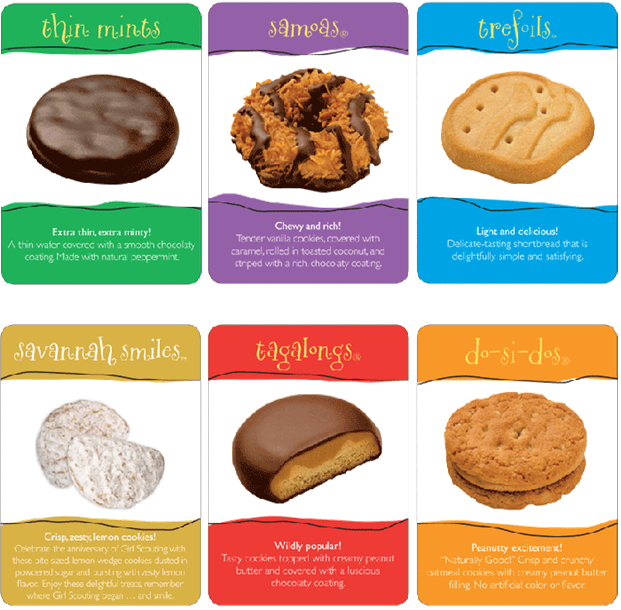 Hobby or skill-based groups can be a great alternative. One friend found multiple job opportunities while attending a meetup group for a game-development program he was using for fun. He worked in construction at the time—nothing remotely close to computer programming. In addition, I once attended a casual event for Seattle Sounders fans, and while I wasn’t searching for a job, I had multiple opportunities to talk about my work and skills. Yes, this happened at a soccer meetup, where I felt comfortable and the career stakes were low. Networking is a two-way street; it is not just about asking for favors. Your side of the street should focus on helping others. This help can be as big as volunteering regularly for a cause you love, or as small as offering to babysit for a friend. As fellow GeekGirlCon staff member Laurel McJannet put it, “Do good work with people who share your values, and they’ll remember you or be a reference for you when a job opening comes up.” Another friend found a job in her desired career field as a direct result of her volunteer experience with GeekGirlCon. Another form of giving is introducing people. Find ways to introduce friends, colleagues, and acquaintances with one another. Do you have a friend and a coworker who both like to brew their own beer? Offer to introduce them. This makes you a valuable connector and invites others to do the same for you—providing an opportunity to expand your network. One friend started a blog about Pittsburgh, focused on connecting people and businesses across the city, and said the experience was not only a great networking tool, it also helped her gain confidence in talking to people. I am an introvert, and the idea of striking up a conversation with a stranger terrifies me. But I have talked to more people than I can count on my hands and feet whose job opportunities came as a result of random conversations with a stranger. One friend told me she was offered an interview and was eventually hired by the guy sitting next to her on an airplane. They were both coming back from a major industry conference, and the plane was filled with other techies. Be open to putting yourself out there when you least expect it. Our annual convention provides one of the best opportunities to meet career mentors or get job leads—especially if you are looking to enter a career field where women are underrepresented. Our Connections Room will feature booths from some of the leading technology, video game, nonprofit, and science companies. We will also host networking hours throughout the convention focused on specific career interests, and we’ll have a Connections programming room for panels, workshops, and Q&A sessions focused on education opportunities and leadership and career development. These are five tips that can help enhance your networking experience. What other tips would you offer? Please share them below! 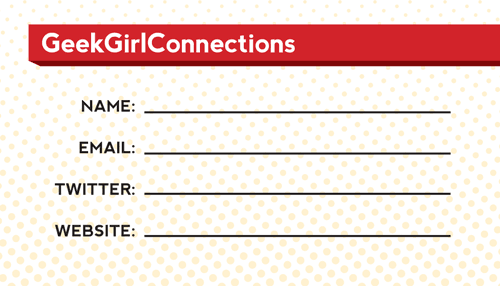 Get your connection on this year in GeekGirlCon’s Connections Room! That’s right, we have an entire space devoted to your career and school needs. Make sure to have your resume and portfolios in hand; we’ll be featuring some of Seattle’s top companies and schools. Ever wonder what Amazon engineers do everyday? Now is your chance to talk one-on-one with a diverse team of lady engineers and learn about all the amazing projects they’re working on! Moz is provides inbound marketing and social monitoring software. Meet Sierra Murphy, the Technical Recruiter, and learn more about this awesome company! F5 is a Seattle-based global leader in Application Delivery Networking. 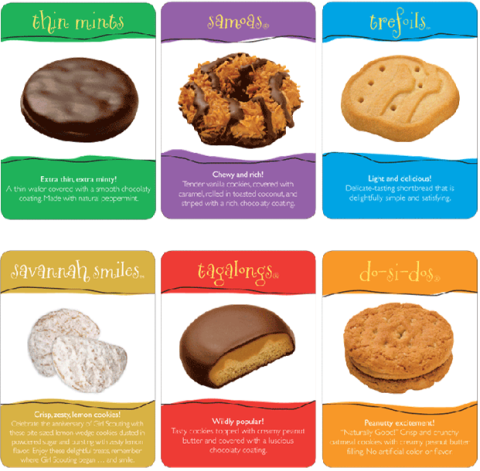 Stop by and learn more! Everyone has been talking about Project Spark, the game maker video game for XBox One, XBox 360, and Windows 8. Here you have the chance to talk directly with the team behind it! Seattle-based EMC Isilon is the global leader in scale-out storage. Now is your opportunity to talk directly with recruiters and learn more! Stop by to meet the ladies running Reel Grrls, an award-winning nonprofit media arts and leadership training program for girls and young ladies. Have you ever thought about studying game design? Then you need to stop by the DigiPen booth! DigiPen Institute of Technology has been ranked by the Princeton Review as one of the top colleges for studying Game Design. Don’t miss out—buy your passes now! GeekGirlCon is seeking programming submission ideas, performers, and professionals for GeekGirlCon ’13. 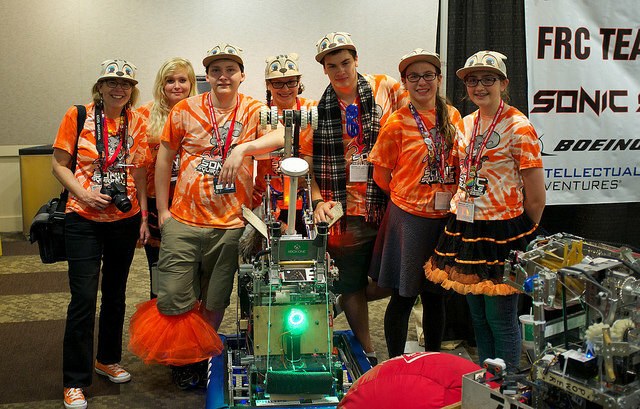 Are you interested in being a part of our convention this year? Please fill out one of the forms listed below! Do you have any questions? Please direct them to programinfo@geekgirlcon.com. There will be prizes! 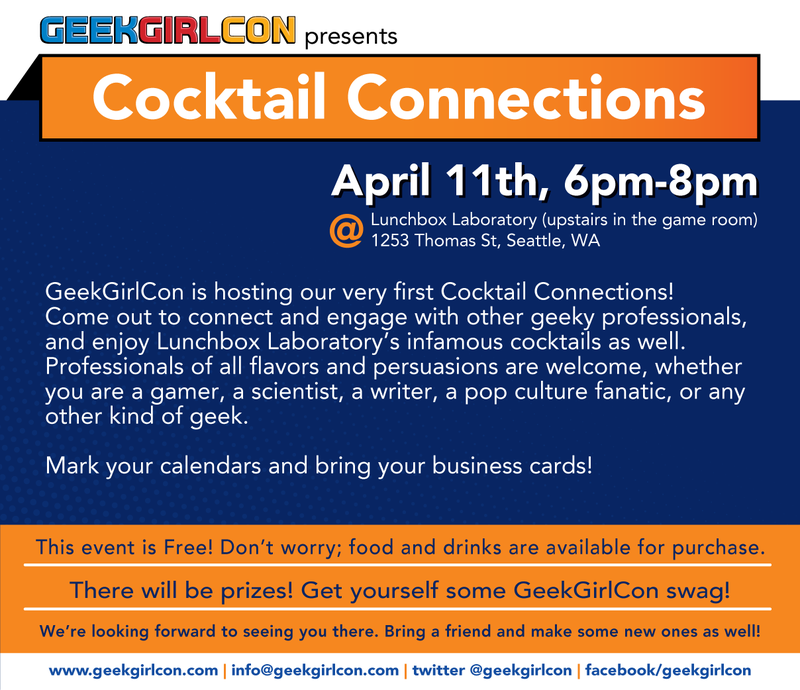 Get yourself some GeekGirlCon swag! Free! Don’t worry; food and drinks are available for purchase. We’re looking forward to seeing you there. Bring a friend and make some new ones as well!